Looking for skip bin hire Kangaroo Point, Sydney or Sylvania Waters? Look no further than MCM Skip bins. You need a fast and easy solution to your rubbish removal needs in Sylvania, Sylvania Waters and Kangaroo Point. Our skip bins provide you with a great price and effective way of moving your waste. Not sure what size skip bin you need to hire in Sylvania? 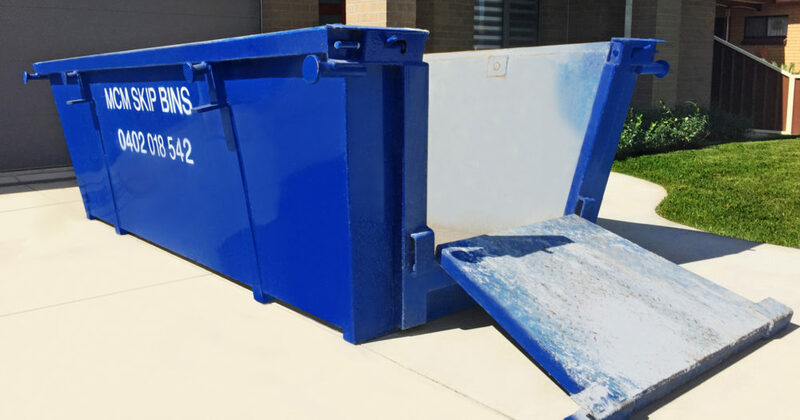 You benefit from our experience of over 15 years of providing skip bin hire Kargaroo Point, Sylvania and Sylvania Waters and the surrounding communities in the Sutherland Shire. You can choose from 3, 4, 6 and 8 cubic metres, we know just the right questions to ask to help choose size, timing and placement of your bin. We are proud to include both residential and commercial customers among our clientele in Sylvania, Sylvania Waters and Kangaroo Point. For homeowners, we provide skip bins to help remove waste during moves, renovations, clean-ups. For businesses, we can help with removing waste from construction, fit-outs and demolition sites. We are located right here in the Sutherland Shire, so you will never need to pay extra for transportation costs. We live where you live, and that local experience is evident from the moment you get in touch with us. Our drivers will arrive to your home or site on time every time. We respect that your time is valuable and we guarantee prompt drop- off and pick-ups. We’ll work with you to devise a schedule that meets your needs. We do our part to preserve our environment in the ways offered to us within this industry. If you have recyclable materials to be taken away, we’ll be happy to get them to the right facility for processing. It’s all part of our service, there is no extra charge for you. You can have confidence that you have chosen the right skip bin company that minimises the impact on our fragile environment. Sylvania and Kangaroo Point are beautiful waterside suburb approximately 22km south of Sydney. Sylvania is gateway to the Sutherland Shire, just south of Tom Ugly’s Bridge on the Princes Highway. Sylvania Heights Public School, Sylvania Public School and Sylvania High School are all nestled amongst the mostly residential area. Pockets of bushland reserve are scattered generously throughout the area. Many homes enjoy views or water frontage of the fabulous Georges River. Southgate Shopping Village is a favourite shopping centre with Shire residents. Easy to park and get around the shopping centre offers a choice of supermarkets, fresh produce, day-to-day necessities and the piece de resistance – Kmart. Sylvania Waters is a unique part of the Sutherland Shire offering modern palatial homes with private jetties and pontoons on man made canals, with Gwawley Bay leading out to the Georges River. Sylvania Waters accommodates popular facilities like the Sylvania Waters Athletics Track, Sylvania Waters Tennis Court Complex and the 3 Par Golf Course. Southern Districts Rugby Club is one of the biggest rugby union clubs in the Sutherland Shire and has its home ground and clubhouse in Sylvania Waters. Doltone House is a well renowned function venue hosting wedding, formals and high profile charity events in the Sutherland Shire.